Yet another batch of good games. Would love a print of that operation Whitebox! Whitebox is great in B&W, I can only imagine what it looks like in color! Looking forward to seeing more Continual Light reach Print-on-Demand options! I've looked at just aboutbevery other Whitebox hack except Operation Whitebox... hopefully I'll be able to look at that one too soon. Ho Ho Ho, and away we go! 12 hours till Christmas, safe travels to all who are on the road! Looking for a 3 peat! Already have Zweihander but I'm down for Operation White Box. Happy Festa dei sette pesci to all. Each year this gets better and better. Amazing. 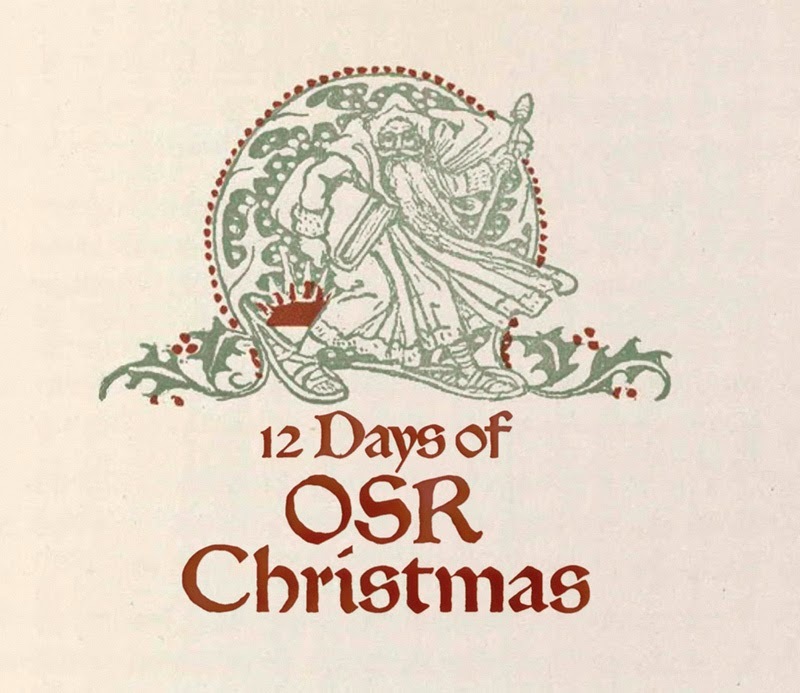 Merry OSR Christmas! More OSR gaming in 2018! OSR Santa. Less us, everyone! Everyone have a safe and fun night! Just happy to still be gaming. Merry Christmas! Operation Whitebox! Storm the beaches! Hoping to play some B/X with my sister after 35 years. So happy Christmas. I hope you have fun. Happy Holidays, barkeep! Keep em comin! Christmas is upon us Uncle Tenkar! Here comes that midnight clear! Happy Holidays!